Art has been going to the hospital at least 3 days a week to receive plasma-replacement treatments (apheresis) to help eliminate the antibodies that are giving him problems. When we were at the hospital last Friday, one of the doctors overseeing these treatments met with us and suggested that our 8:00am Monday appointment might work better to be moved to 10:00am. It would give us and the hospital staff more time to get there. We were to get a foot of snow on Sunday and below zero temps on Monday. As most of you know the “polar vortex” hit Indianapolis very hard and we got a lot of snow with wind chills near -40 degrees. 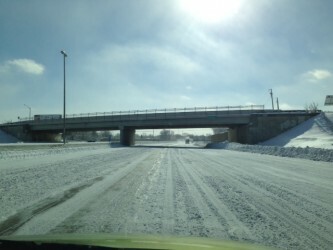 For only the second time in recent history the city declared a travel emergency and told the public to stay off the highways. We called the apheresis team and asked them to reschedule for 8:00am Tuesday morning. Then at noon the mayor of Indianapolis changed the travel advisory to “essential travel only”. 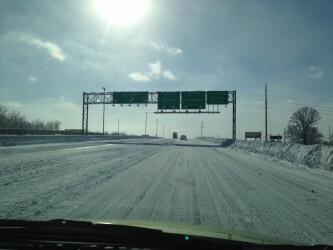 They showed pictures of the expressways that were covered with ice and snow but there were no cars on the roads. So after a little thought Mary asked if it would be better to go on Monday afternoon in the daylight and light traffic or wait until Tuesday morning and deal with a rush hour crowd leaving in the dark. We called the hospital and changed the appointment to 2pm Monday. We drove on the expressways. There were parts where it was pure white-knuckle driving. We didn’t get much over 25mph but got there just fine and Art had his treatment. We need to be back on Wednesday at noon but hopefully that will not be a problem.